Unformat SD Card – How to Perform Formatted SD Card Recovery? “Is there any way for me to recover data from Micro SD Card after formatted?” We now use SD card to store various types of data like photos, videos, audio, documents, etc. SD card is compatible with many devices including smartphones, camcorders, digital camera, and MP3 players. There might be times we format SD card by mistake or delete files from SD card accidentally. So how can we get back the files from formatted SD card? No worry! Below is an easy way for formatted SD card recovery. It is possible to use an SD card recovery software to recover formatted SD card. An experienced user should be able to understand how to use this type of data recovery software, but novices may need a good guidance in order to successfully unformat SD card. Good SD card recovery software should be user-friendly yet it offers many comprehensive options to restore data from SD card. Here UFUSoft File Recovery is recommended. How to Recover Files from formatted SD Card? Step 1: First download and install formatted SD Card Data Recovery tool. Connect your formatted SD Card to the computer with the help of card reader or USB drive. Step 2: Select the drive letter your computer assigned to the memory card on the left panel of the program as the storage device to scan. 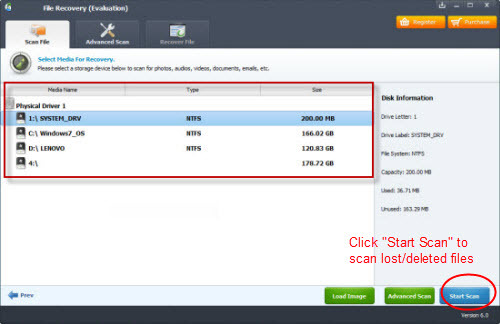 In the left-bottom, check “Deep Scan” mode to recover files lost due to formatting. Then hit “Scan” to search for lost files. Step 3: After the scan, the program will automatically list all files it can recover in the left panel by folders. You can view their file name, size, modified time and created time in the right panel or click the “Preview” icon to check for their contents details. Step 4: Simply select and check the file you wish to recover from the list, then click “Recover” and the program will recover the formatted SD Card files and save them to destination you specified. How to Recover Deleted or Lost SD Card Data on macOS Sierra? How to Recover Damaged SD Card for Lost Data on Win or Mac? How Can I Recover photos or lost files from Eye-Fi SD Card? TXT Recovery-How to recover lost or deleted TXT files?